…I’ve moved this blog to github. Some of my posts’ formatting are broken, but I’m working on fixing them. If you find one that is, drop me an email and I’ll add it to the queue! My Patch to Ruby Gems for IronRuby support is in 1.3.7! Continuous Improvement, Days 3 + 4: Team City ROCKS! Continuous Improvement, Day 1: Hello, TeamCity! Rails 2.3.0 + IIS7 + FastCGI = Rails on Windows FTW! 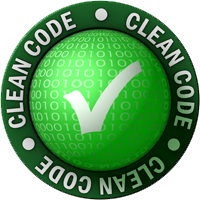 Donate to charity & show your commitement to writing clean code.